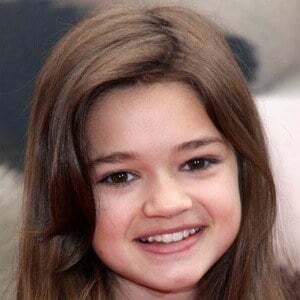 Actress who became known to television audiences for her roles as Katie Knight on Nickelodeon's Big Time Rush and as Sarah on Special Agent Oso. In 2012, she was nominated for a Young Artist Award for Supporting Young Actress. She later starred on the drama Second Chance and as Dell in the YouTube series Wayne. She was discovered at a talent expo at age nine and provided voices for characters on Playhouse Disney. 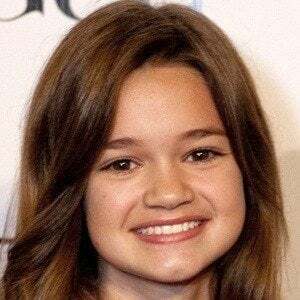 She began starring as Emma on the Fox series Red Band Society in 2014. She also played lead roles in the Nickelodeon TV movies Jinxed and Swindle. She provided the voice for Giselita in the 2010 animated film Open Season 3 and appeared with Willow Smith in the music video "Knees and Elbows." She was raised in Alexandria, Kentucky. She has a brother named Jaxon and a sister named Rikkel. She voice-acted with Ray Romano in the 2011 short film Ice Age: A Mammoth Christmas.